PARENT WORKSHOP REGARDING DEPRESSION & ANXIETY Dear Parent(s)/Guardians, Harmony Public Schools are collaborating with Dr. Teresa Marquez-Smith, M.D-PA whose mission is to empower and support parents of children with disabilities to be effective advocates for their children and promote positive parent/professional partnerships. 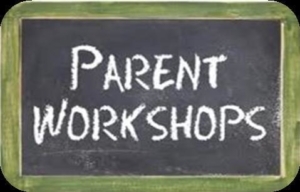 You are invited to a free Parent Workshop. Topic: Depression and Anxiety Date: April 12, 2019 Time: 3:30 pm Location: HSA Middle School Cafeteria Workshop Description: The workshop helps parents understand the importance of diagnosis, possible causes, and suggestions for helping the child learn new and appropriate behaviors. For more information contact Mrs. Ochoa (Special Education Coordinator) at Harmony Science Academy (915)859-4620 ext. 371.